This last weekend Jeremy and I decided, spontaneously, to go to Beaverlac for a break. On our way up a friend phoned to let us know that there had just been a huge fire there and he wasn’t sure if the camp site was open. Determined to go on a weekend away Jeremy and I decided to take a chance. There had been a huge fire two days before (on the Tuesday) and it had striped the mountains of any green and everything was black and ash. 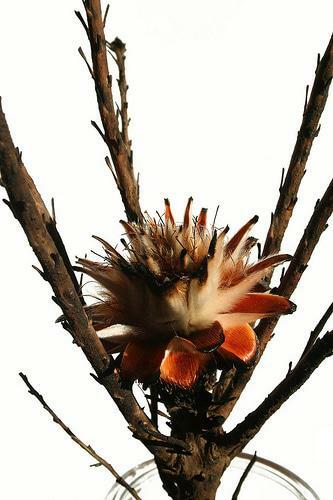 However, I think that the silhouettes of burnt proteas are almost as beautiful as when they are full of colour. 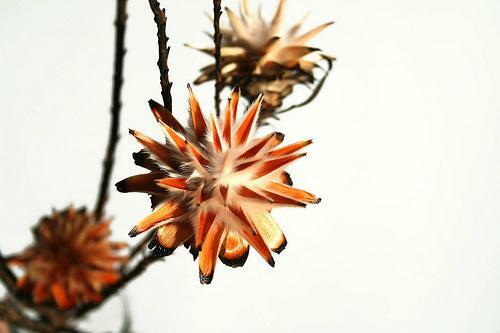 I have no idea what type of protea bush these burnt flower heads are from but this was my favourite silhouette. It is like a star covered in cotton wool surrounded by blackened petals and stems. The contrast of texture is wonderful. 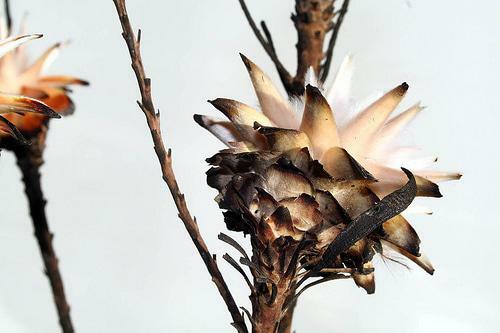 This entry was posted in Blog and tagged Beaverlac, burnt proteas, fire, fire at beaverlac, proteas. Great photos and very interesting.Have a nice day! I love the stark beauty of these. Great shots. The proteas look like spikey sculptures. Wow I always love to use them in my christmas flowerarrangements. would love to seee them in their natural surrounding!